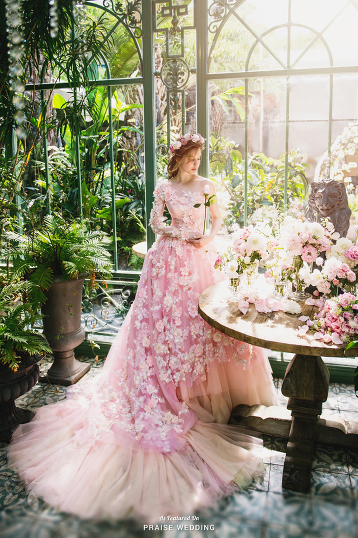 This pastel pink gown from Matsuo Wedding featuring watercolor floral prints is sure to fulfill your princess dream! This vintage-inspired blush gown from Lace and Dolly featuring sophisticated lace detailing and a dreamy long train is fit for princess! 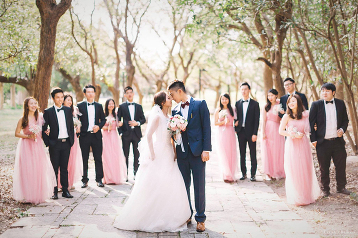 A picture-perfect wedding day photo filled with endless love and heart-warming friendship! 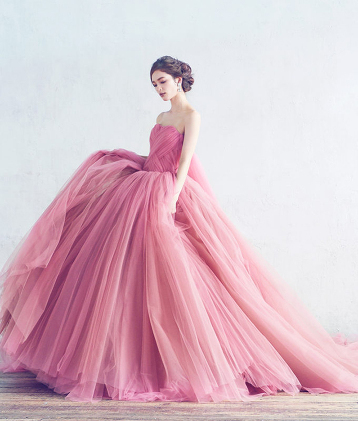 Hatsuko Endo introduces this ombre pink gown featuring soft, dreamy layers of airy tulle! 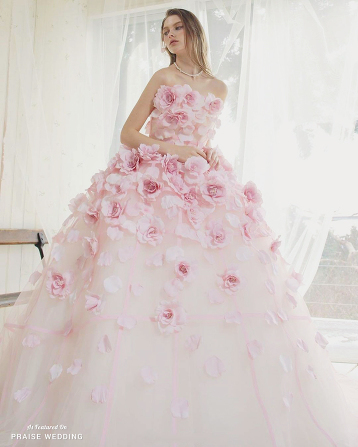 This princess-inspired pink ball gown from Kiyoko Hata featuring gorgeous floral embroideries is taking our breath away! 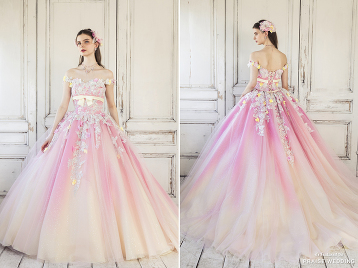 This sweet ball gown from Four Sis & Co. featuring dreamy layers is utterly romantic! A pastel pink gown from Digio Bridal featuring delicate metallic detailing! 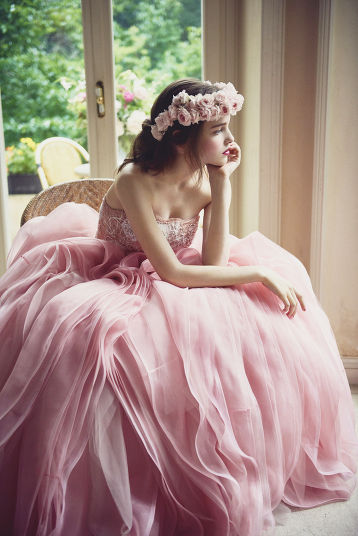 This pink ball gown from Bella Wedding Dress featuring lively 3D embroideries is shouting whimsical romance! A princess-inspired pink gown from Lace and Dolly featuring sophisticated lace detailing! We’ve fallen in love with this romantic pink gown from Studio Aim featuring jewel embellishments! Filled with the most stunning details, this breathtakingly beautiful garden-inspired gown from Nicole Collection is guaranteed to make you the star of any scene! This pastel pink gown from Bella Wedding Dress featuring exquisite embroideries is an work of art! 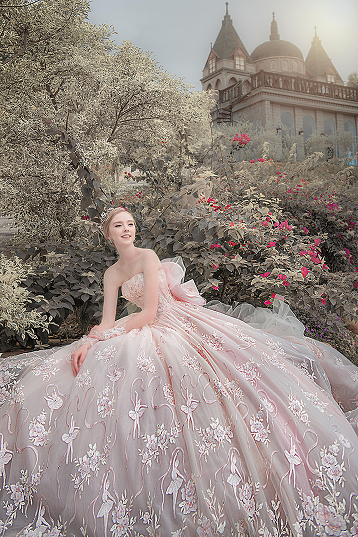 This pastel pink x blue gown from Kiyoko Hata is fit for a fairy tale princess! 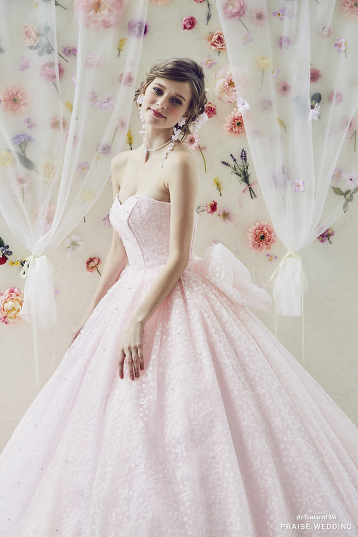 This pastel pink ball gown from Isamu Morita featuring sweet embroideries is making our hearts dance! A customized romantic bouquet will make your special day even more memorable! This beautiful fine art bouquet is making our hearts dance! We’ve fallen in love with this romantic pink ruffled gown from Four Sis & Co.! 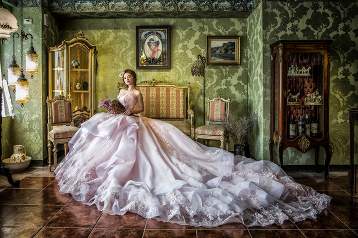 Utterly romantic floral ball gown from 8D & PP Wedding with an extra sweet feminine touch! This dreamy pastel gown from Kiyoko Hata featuring layers of colorful airy tulle is irresistible! 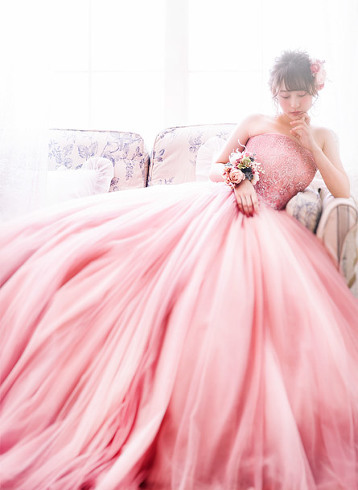 How sweet is this pastel pink princess-worthy gown from Kiyoko Hata! How adorable is this sweet tooth inspired bridal portrait? 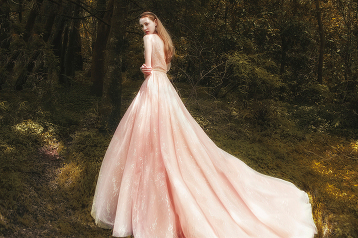 This fairy tale-inspired ombre gown from Sophie Design is making us swoon! Nothing is sweeter than twirling in this princess worthy pastel floral gown from Bella Wedding Dress! Sweet, chic, and romantic, this wedding gown from Kiyoko Hata featuring 3D floral appliques is downright droolworthy! 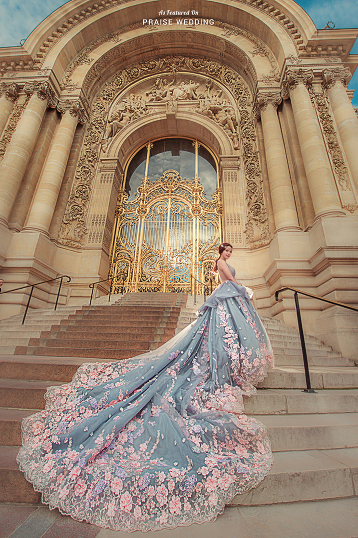 So in love with this ombre pink gown from Yumi Katsura featuring magical colors and stunning floral detailing! This romantic ombre gown from Mania Modeler featuring a keyhole back design is fit for a modern day princess! This pink ombre gown from Kiyoko Hata featuring 3D flower appliques is taking our breath away! 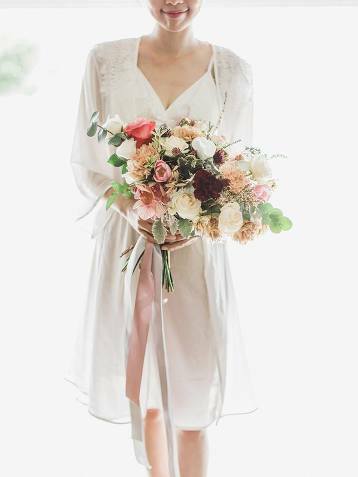 Falling in love with this fashion-forward bridal portrait filled with style and romance! 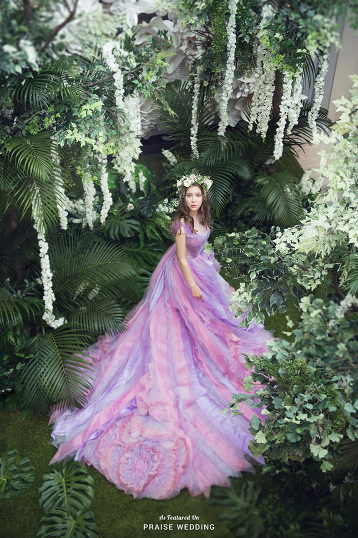 This garden-inspired gown from Sophie Design featuring lavish floral detailing is sure to fulfill your princess dream! This utterly romantic pink ombre gown from Kiyoko Hata is taking dreamy to a new level! This dreamy pink gown from Olga Malyarova featuring chic floral appliques is a show stopper! 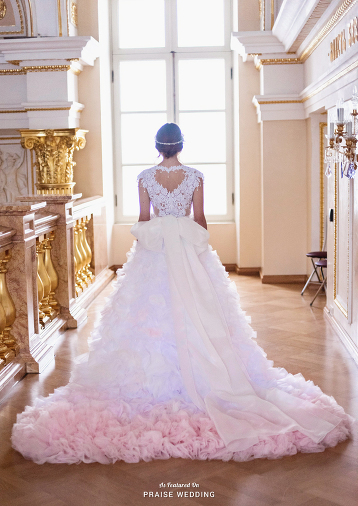 How romantic is this pink gown from Natalia Romanova featuring 3D floral appliques and beautiful lace detailing! 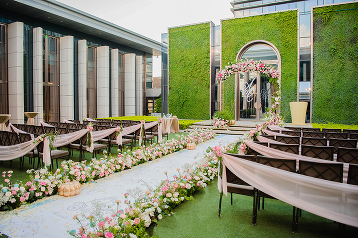 Is this moment is straight out of a fairytale or what?! When you pair your picture-perfect love with a fabulous gown and a natural backdrop, the result is priceless!